Here is a list of 6 free drawing apps for Chrome that let you draw beautiful, attractive, and creative images and explore your drawing skills. Drawing requires lot of creativity and imagination and some times it becomes difficult to pen down your imagination. So keeping this in mind I’ve reviewed a few free drawing apps which will help you explore your creativity alongwith drawing skills. These free drawing apps for Chrome provide multiple drawing canvas, brush types, drawing tools, selection tools, etc. 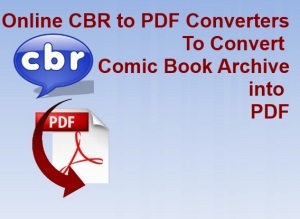 alongwith the facility to export your image directly to your system. 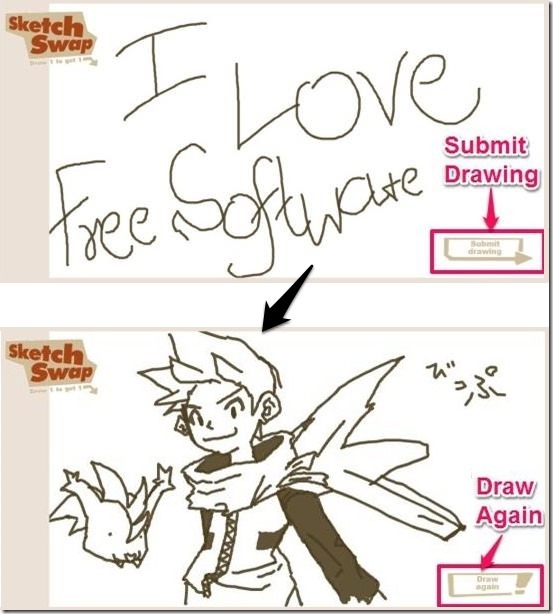 Below I’ve reviewed Sketch Wizard, Sketch Swap, Harmony, Divvr, Drawmore, and Bomomo. Sketch Wizard is a free drawing app for Chrome that lets you draw amazing professional looking sketches. 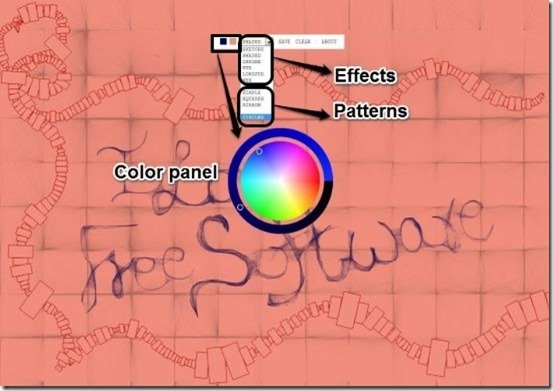 This free drawing app provides you various effects like Sketchy, Chrome, Shaded, Fur, etc. and provides you creative sketching patterns like Circles, Grid, Square, etc.. This drawing app lets you create colorful sketches; you can customize the color of the background and sketch pointer using color panel. 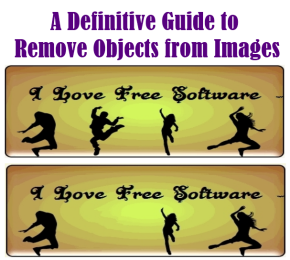 It lets you save your image in PNG format. 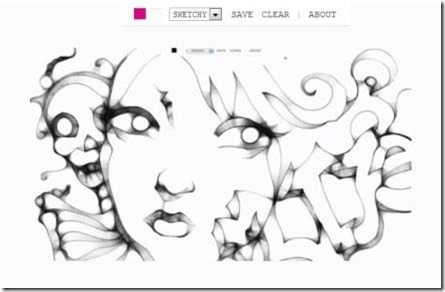 Quickly grab this free drawing app for Chrome to create professional looking sketches. Grab Sketch Wizard for Chrome from here! 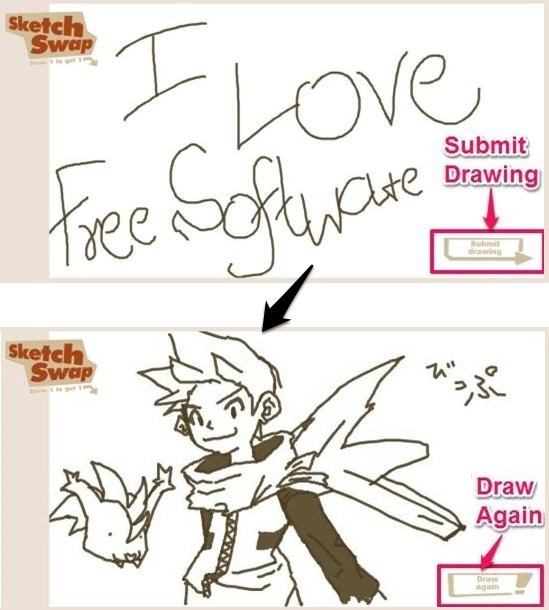 Sketch Swap is one of the most fascinating free drawing app for Chrome that lets you draw freely on canvas and then displays a new random image drawn in front of you, each time when you submit your sketch. This free drawing app revolves around submit and swap buttons, as it lets you draw and then creates a random sketch immediately. This free drawing app is apt for those who are novice users and cannot really create attractive sketches. 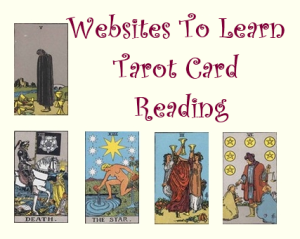 It is simple and comprises of no drawing tools and customization options. This free drawing app is indeed a magical fun app which can be addictive at the same time. Grab Sketch Swap for Chrome from here! 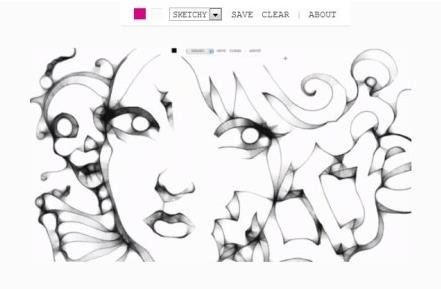 Harmony is a free drawing app for Chrome that lets you create procedural drawing with amazing sketching effects using various special brush types. This free drawing app allows you to draw stylish and attractive drawings with spectacular effects and advanced color palette. It lets you choose the shades of your choice for the brush pointer as well as for the background. This free drawing app for Chrome offers you various brush types like simple, sketchy, fur, longfur, shaded, web, squares, chrome, circles, grid, and ribbons. This free drawing app is similar to Sketch Wizard (reviewed above), the difference between these two is that Harmony does not provide you effects while drawing. 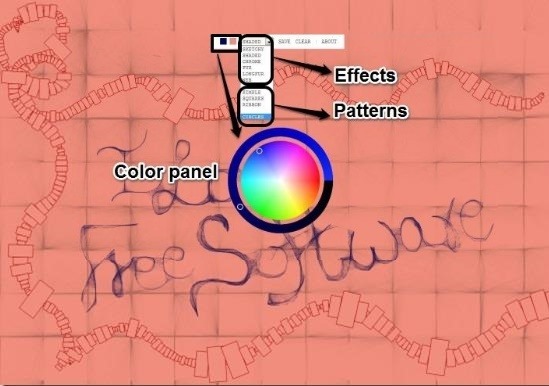 Grab this free drawing app For Chrome to draw stunning procedural drawings. Grab Harmony for Chrome from here! Divvr is a free drawing app for Chrome that provides you a platform to create unique creative and abstract images. This free drawing app provides you multiple brush types which allows you to pen down your imagination in order to create beautiful abstract images. This app lets you insert text by selecting the desired font and font size. 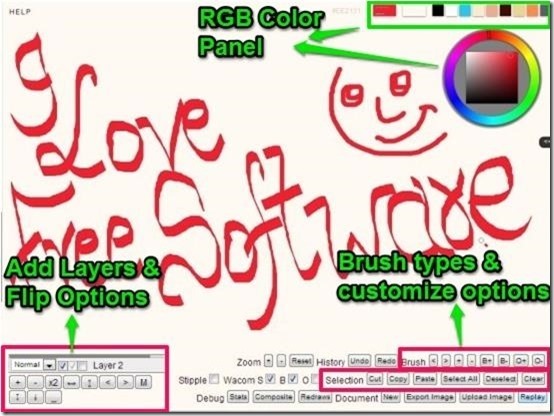 It offers you various customization options through which you can easily adjust the size of the brush, color of the brush tip, text and background, and other options. You can easily export your image as a PNG file after completing the drawing on this free drawing app for Chrome. Grab Divvr for Chrome from here! Drawmore is a free drawing app for Chrome that offers you various drawing tools and canvas so that you can draw and paint like an artist. 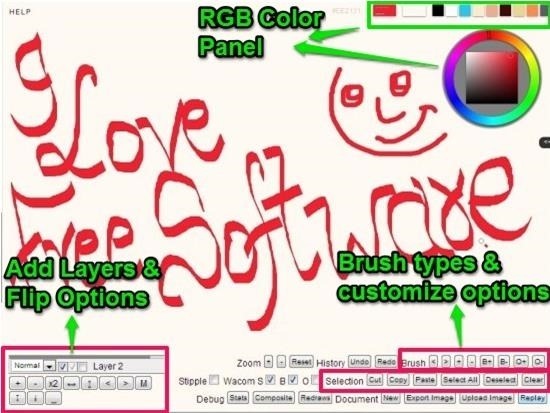 This free drawing app for Chrome provides you various brush types like Polygon, Calligraphy, Rounded, and also provides you the various drawing and selection tools so that you can easily pen down your imagination. This free drawing app offers you random themes which can be applied while drawing. 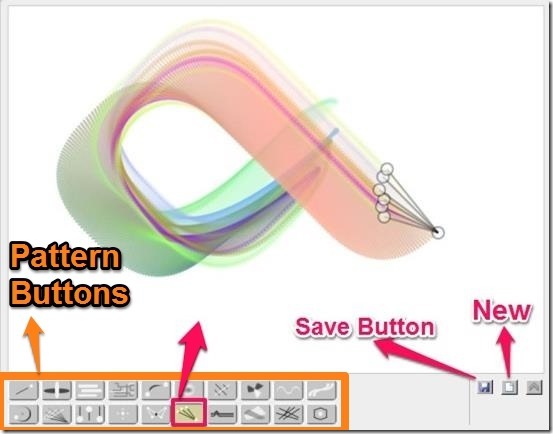 Drawmore provides you Zoom option and offers you unlimited undo/redo facility. This free drawing app lets you export your image as PNG file and at the same time allows you to share your creativity on Twitter. Install this free drawing app for Chrome to draw, paint, and share. Grab Drawmore for Chrome from here! Bomomo is a free drawing app for Chrome that allows you to draw creative and unique patterns just by holding your mouse cursor and pressing it on the blank canvas. This free drawing app provides you 20 creative patterns using which you can draw amazing abstract visual patterns. 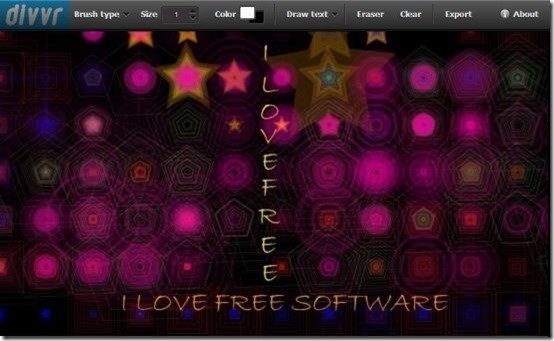 This free drawing app lets you save your image as a JPG image file. This free drawing app is apt for those who love to draw and relax while exploring their creativity. Grab Bomomo for Chrome from here! Try out these free drawing app to easily pen down your imagination while exploring your drawing skills.